Beauty routines always have a natural order. You always start with washing your face and then you move on to the next step. Foxbrim natural refresher toner is the next step in the beauty routine. After that is the serum and moisturizer. All in the name of beauty no matter how long it takes. Foxbrim Natural refresher toner, is an all natural alcohol free product. A few of the ingredients are Witch Hazel, Aloe and Vitamin C. All ingredients that are very good for your skin and shouldn't make you break out. 2. Have a cotton swab handy. 3. 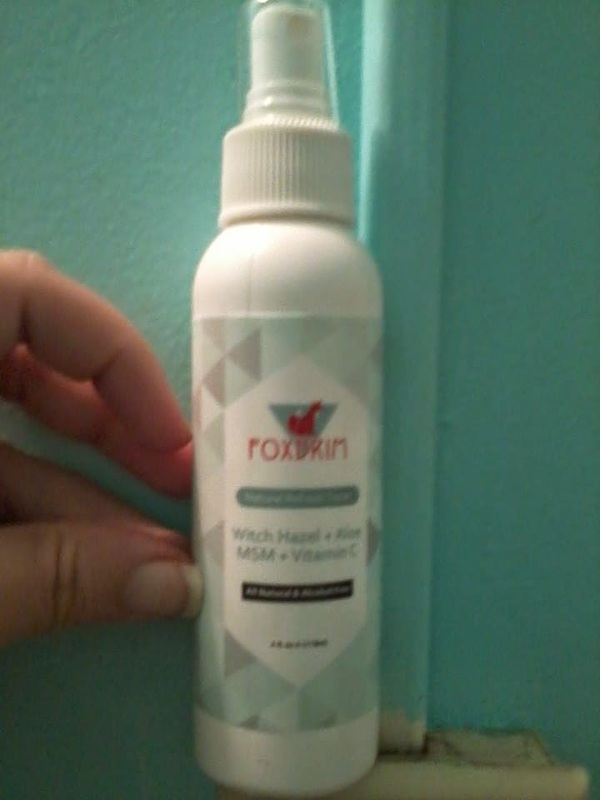 Spray Foxbrim Natural refresher toner onto the cotton swab. 4. Apply evenly all over your face and neck. This product is very easy to use, the directions are very small but once you know what to do, you won't have a problem remembering what you are suppose to do. The bottle is really cute, light pastel colors which don't take away from what the product is and make it look presentable. It also has an easy spray top, which is good for arthritic hands and normal functioning hands alike. I really like this product and have included it into my beauty routine. I am really not sure what it was suppose to do. Washing my face woke me up enough but the toner helped me even more. It also hydrated and nourished my skin really well. Which I am glad for because the serum I use sometimes dries out my skin so it helps to balance out my skin. Plus with the ease of use and being able to apply it quickly moves my beauty routine go a bit faster. If you would like to find out more about Foxbrim Natural Refresher Toner and/or buy some for yourself, then head on over to Amazon by clicking here. It's always best to check around and see what other people think of a product before buying it, I always recommend for people to do that. The best part about Foxbrim, is they refund your money if you aren't in love with their product so you have nothing to lose. I received one or more of the products mentioned above for free using Tomoson.com. Regardless, I only recommend products or services I use personally and believe will be good for my readers.